The Jonathan Hardin Chapter, NSDAR, was organized March 28, 1922. 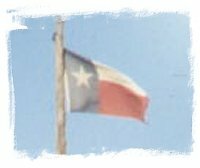 A group of ladies met in Mexia, Texas, in the home of Mrs. Roberta Putman Sweatt, for the purpose of organizing a chapter of the Daughters of the American Revolution. Mrs. Sweatt had been appointed Organizing Regent by Mrs. I.B. McFarland, State Regent, at the State Conference in November, 1920. For a year after its organization, the chapter was called the Mexia Chapter; then the name was changed to Jonathan Hardin in honor of the Revolutionary ancestor of Mrs. Sweatt and three other members. 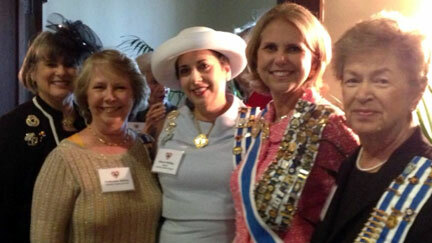 The charter members were Mrs. Lola Herring Alderman, Miss Mary Elizabeth Alderman, Mmes. Nancy Gantt Boyd, Lamar Ross Chatham, Frances Walcott McCramey, Sanford Gibbs Norsworthy, Miss Adeline McFarland, Annie Gibbs Meaders, Sallie Smith Karner, Miss Lillian Ross, Mmes. Louise Thomson Scott, Valentine Gantt Smith, Minette Hunter Staggs, and Roberta Putman Sweatt. The following officers were elected: Mmes. Robert Sweatt, Regent; Lamar Chatham, Vice Regent; Nancy Boyd, Recording Secretary; Valentine Smith, Treasurer; Lois Alderman, Corresponding Secretary; Miss Mary Elizabeth Alderman, Registrar; and Miss Lillian Ross, Historian. Chapter members attending 2016 Texas State Conference in Houston, along with Tamassee DAR School CEO Amy Twitty, were left to right: Nancy Brown McSwane, chapter treasurer, Amy Twitty, Kay Shoffner Alston Texas state chaplain, and Billie Sneed Bournias chapter registrar. Members attended luncheon given by Heart of Texas Regents Council in honor of Lynn Forney Young, candidate for President General, who was later elected ,and the first one to be elected from the great State of Texas! 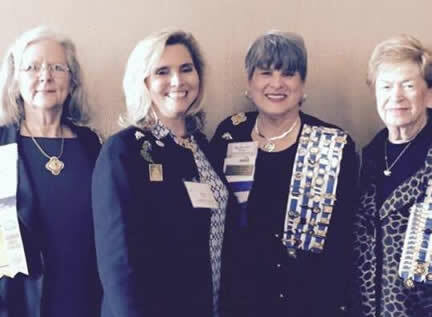 Above, left to right: Kay Alston, former State Chairman DAR Schools; Ann Gokey, chapter chaplain; Aleece McBay, chapterregent; Lynn Forney Young, Past President General and Past Recording Secretary General; and Billie Bournias, chapter registrar.